The days where dryers were noisy, ugly cubes have long gone. Today, if you go shopping for a new dryer, you will be presented with good-looking modern machines boasting various game-changing smart features. With such attractive designs, you will feel guilty stashing them in your basement. In addition, modern dryers are now much more quiet and energy-efficient when operating. So, having a dryer in the home is now much more convenient. However, with these many options available on the market, choosing a dryer to buy can be dauntingly confusing. In general, you can classify dryers into two groups based on the ways they heat air, which are gas dryers and electric dryers. 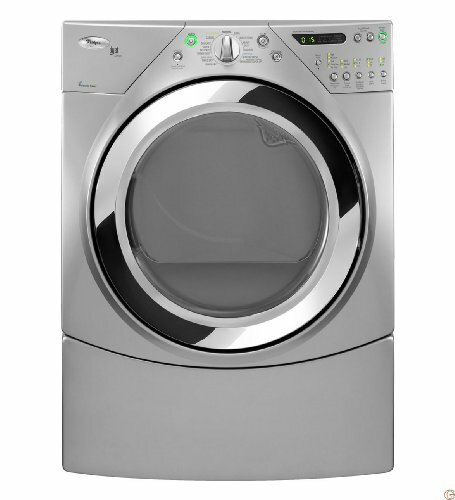 Before you go shopping for a new dryer, you need to completely understand first which type of dryers that you need. Of course, if you don’t have any gas line to your home, electric dryers are your only choices. On the contrary, if you have a gas line available, you may want to consider getting a gas dryer instead. 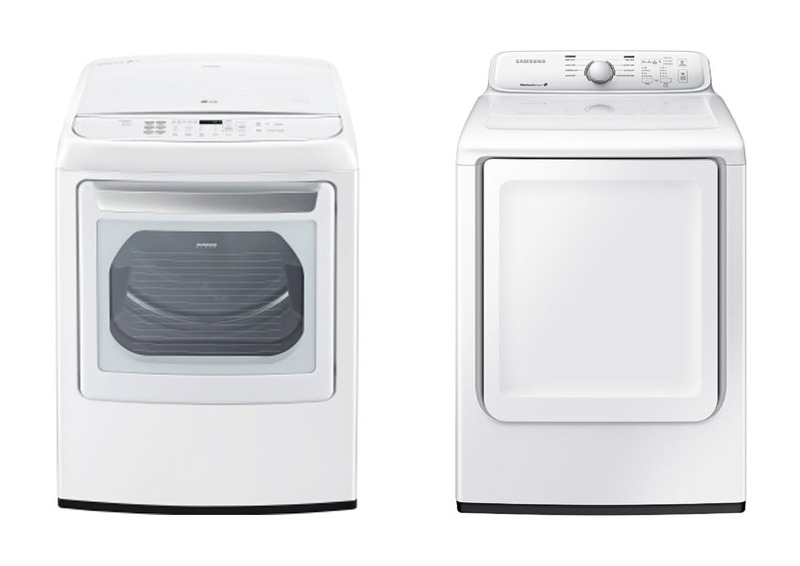 Below, we give you the comparisons between gas dryers and electric dryers to help you decide. Obviously, the most fundamental difference between gas dryers and electric dryers is the way they heat air. All dryers actually have the same inner workings; there is a small electric motor that turns the large drum that tumbles the clothes, while an electric fan works to distribute heated air. As you can see, both gas dryers and electric dryers still need electricity in order to operate the motor and the fan. However, they heat air using different methods. A gas dryer uses a gas burner to create heat. It should be connected to a gas line. Most gas dryers are set to operate on natural gas, but there are conversion kits that enable you to use LP gas instead. There are some gas dryers that have received the Energy Star rating; these gas dryers typically use heat pumps to reduce the amount of energy consumed. A gas dryer still needs to connect to a power outlet, usually a conventional three-prong grounded120V wall outlet. On the other hand, electric dryers use electricity to fuel the heating coils. Most electric dryers are designed to operate on 240V current, which is twice the voltage of the standard household current. So, make sure that your home has a 240V wall outlet; otherwise, you will need an electrician to install one in order to use an electric dryer. Installing a gas dryer is quite more difficult. For of all, you need to have a gas line and a power outlet ready. If you don’t, the cost to install the necessary lines can be quite expensive. In addition, the installation of a gas dryer is highly suggested to be performed by a professional technician because the connection between the dryer and the gas line must be without any leakage. And that’s another cost. The space required to install a gas dryer is generally larger, partially because it needs venting. If you don’t have any gas line available, you can still use a gas dryer using LP tanks, but you usually must install a conversion kit first. You can easily find such conversion kits on the market, some are made by the manufacturers for specific models and some are generic after-market. However, if properly installed, a gas dryer actually has a lower risk of causing fire. 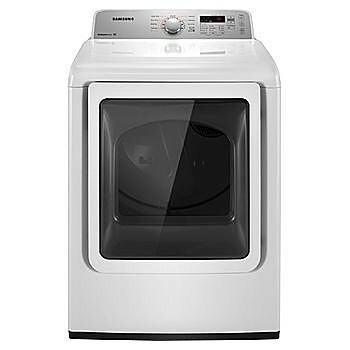 As long as the connection between the dryer and the gas line is without any leakage, it will not be any problem. On the other hand, installing an electric dryer is much simpler and easier. If you already have a 240V wall outlet, all you have to do is plug the dryer’s power cord to the outlet. In general, installing a 240V wall outlet won’t be as expensive as installing a gas line. The installation of an electric dryer is more space-friendly; it does not need a very large room. Even so, some models may also need more room for venting. Electric dryers actually have a bigger risk of causing fire because of unstable currents and short circuits. Generally speaking, gas dryers are more expensive than electric dryers. Gas dryers may range from $350 to $1,600, whereas electric dryers usually range from $250 to $1,500. However, gas dryers are less expensive in the long run because they are more efficient. They consume less energy to heat air, and they dry clothes notably faster, too. That is great news for people who hate waiting. Those models with heat pumps are even more energy-efficient. On the other hand, electric dryers will increase your electricity bills more noticeably, and are relatively slower. However, gas dryers may require more frequent maintenance than electric dryers to ensure the durability of the connection between the machine and the gas line. Besides faster, gas dryers are also gentler on fabrics. Since the clothes are dried more quickly at specific temperatures, water can evaporate adequately from the fabric without causing issues to heat-sensitive fabrics and no-iron finishes. Also, if you do choose a gas dryer, make sure that you look for models that have pilotless ignition and automatic shutoff. These models have electronic sensors that can sense the moisture level of the clothes so that when the degree of dryness is reached, the machine stops working automatically. A gas dryer needs a gas line and a conventional 120V power outlet to operate. The installation is more difficult and expensive, and getting a professional technician to do the installation is highly recommended to prevent leakage. However, a gas dryer can dry more quickly and is more energy-efficient in the long run. On the other hand, an electric dryer requires just a 240V power outlet to work. It is cheaper, simpler, easier to install. However, it dries relatively slower and is more expensive in the long run. It is great if you don’t do laundry too often.